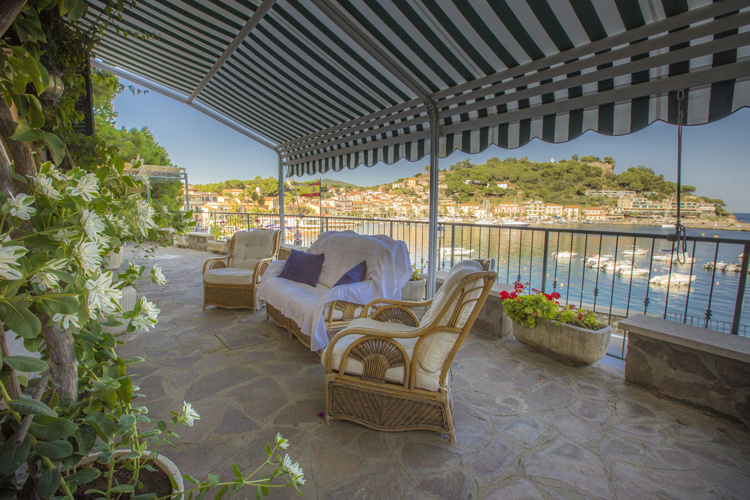 Conveniently located close to the beach and the centre and offering amazing views. 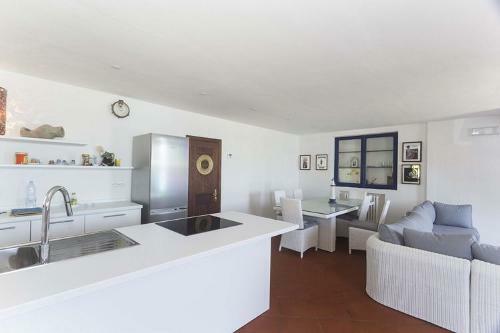 A prestigious one bedroom apartment, new and comfortable a few metres from the sea in the charming seaside village of Porto Azzurro. Brand new furnished apartment with windows overlooking the sea, refined finishes convenience, the maximum for an unforgettable vacation. 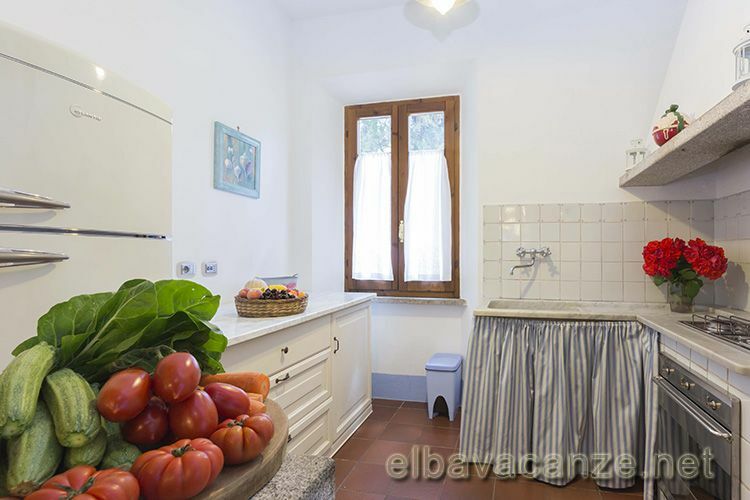 Lovely and well furnished two-room apartment with pergola and garden, two indipendent entrances. 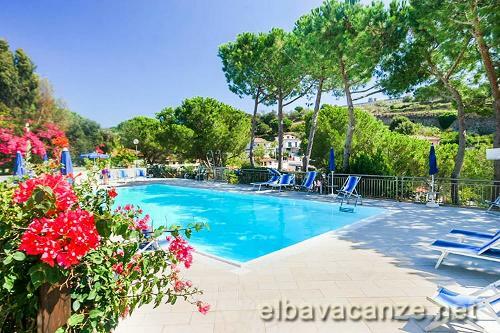 Located at 1 km from the lvely Porto azzurro and just a walkaway from the beach. 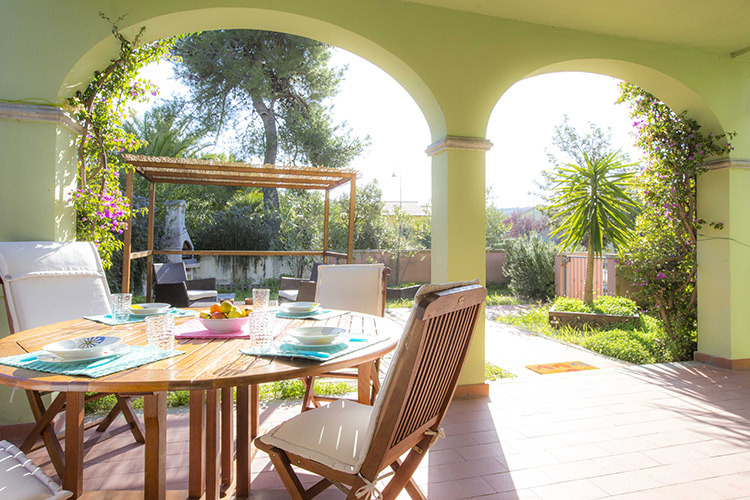 Quiet and peaceful area just a few steps from the sea and from the centre of Porto Azzurro. 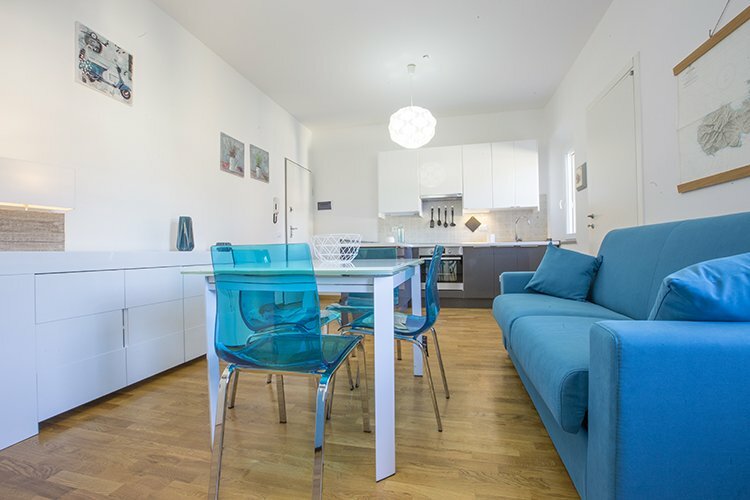 New and comfortable apartment with wifi and garage. 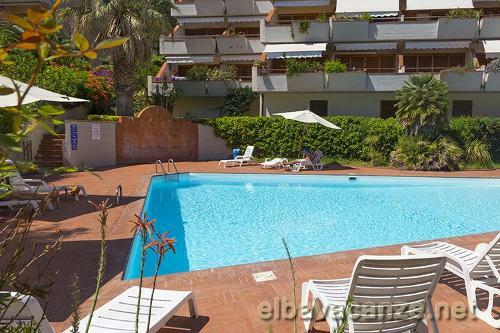 Belmare large comfortable and elegant apartment facing the sea in Porto Azzurro. 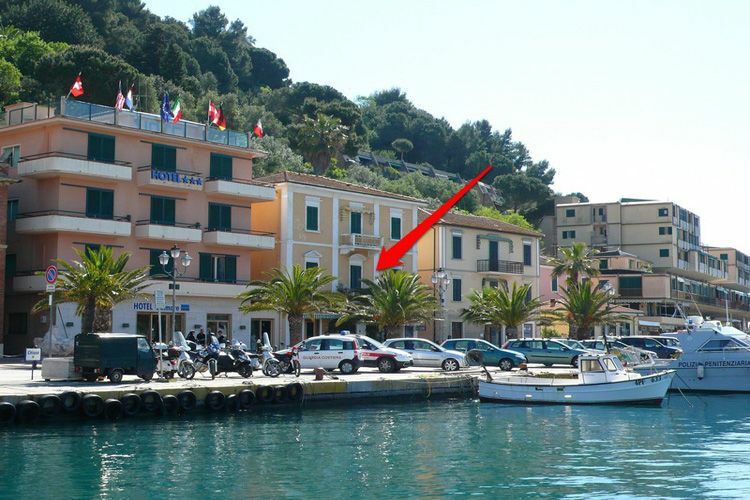 The small village of Porto Azzurro, entirely facing its large square and sea, is one of the tourist destinations in the Island of Elba that has been attracting an increasing number of tourists in the last few years. Here you can live the experience of town and sea, in a people-oriented environment. The recent renovation works of the main square, which rendered it one of the most beautiful squares facing the sea of the island and not only, returned to the town an atmosphere of familiarity and social character. The fishing boats and the small leisure boats dock in this location, which is also used as boardwalk along the sea, the restaurants located beyond the shore as suggestive pile-dwellings, the beautiful stores, bars, ice-cream parlours and tourists who flock to the square from the ancient and narrow streets winding inside the historic centre like a maze, make this village one of the most vital centres in the island of Elba. 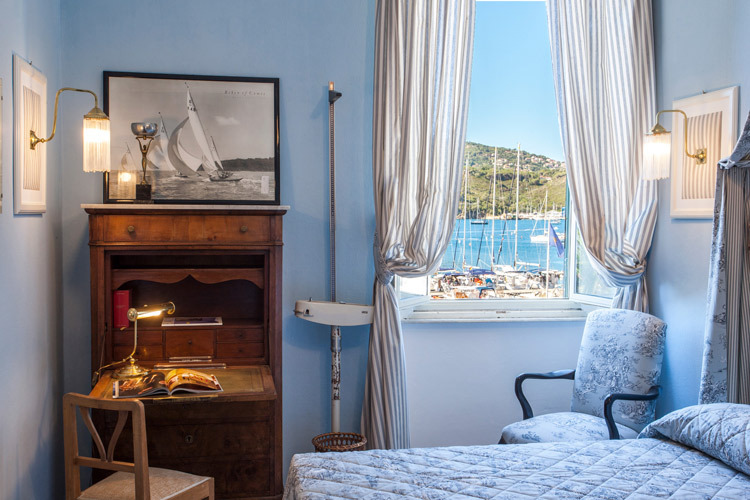 Many beautiful holiday flats and homes, in larger number than hotels and residences, contribute to render Porto Azzurro one of the most sought-for tourist destinations of the third Italian island. 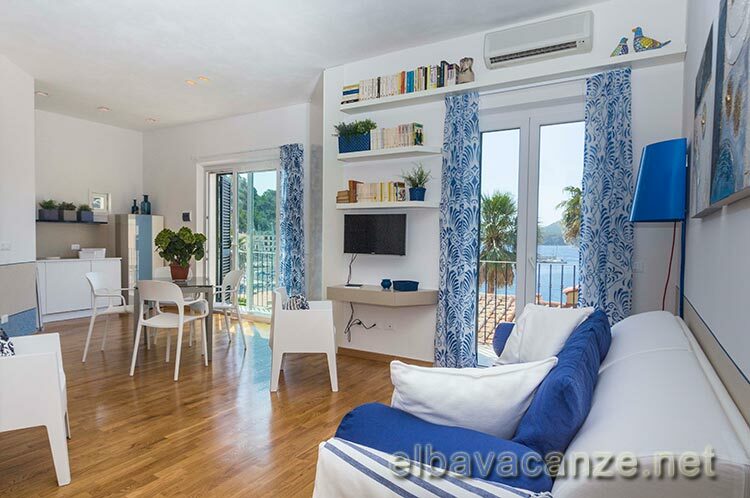 The flats in Porto Azzurro are located in town or just outside; the flats in town are nearby all sorts of amenities, while the facilities outside town are usually elegant holiday homes and villas nestled in more secluded and quiet areas. 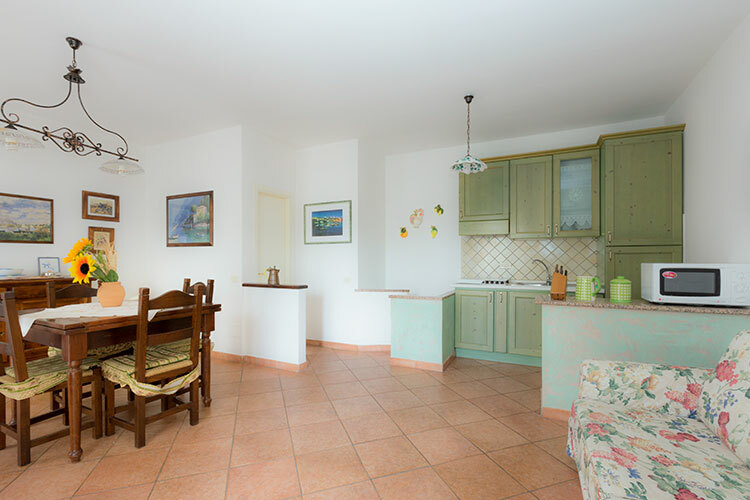 \r\nRenting a holiday flat in Porto Azzurro allows reaching all services and stores on foot, for whatever you may need during your holiday, in fact the town features many supermarkets, pharmacies, rental places and much more; in addition, there are two small beaches in town, one called “La Rossa” that takes the name after its colour, located near the small tourist port, but with clear and constantly checked waters. The other beach called “Pianotta” is very tiny but charming, it is located at the town’s boundary and it features white sand and an extremely clear sea bottom. Every year, the Municipality looks after the maintenance and cleaning of the two beaches, and the community's upkeep which is truly excellent in Porto Azzurro.\r\nA beautiful path, "path no. 7" has been re-opened along the coast a few years ago, that from the town centre leads to Rio Marina, but if you prefer a less compelling walk, you can travel it only up to one of the two beaches, Barbarossa or Reale, in less than half an hour, passing under the huge 16th century fortresses of Forte San Giacomo and admiring one of the most beautiful sections of coast and sea of the island of Elba.